Hola a todos, saludos de la Argentina! This was a great week, and we had a lot of great things happen. We had some great lessons with Mxxx and Dxxx, and they both went to church today! 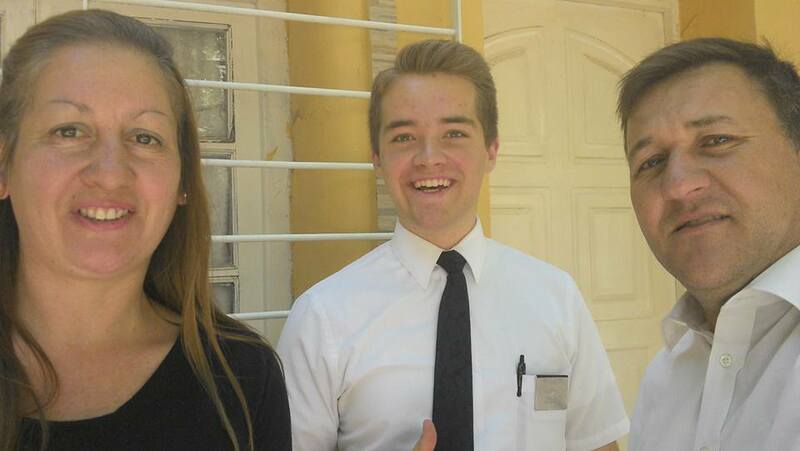 I wasn't there, but Elder Llanos told me that they absolutely loved church today! It was our first Sunday back in our own building after six months of renovations, and everybody was pretty excited. Elder Llanos also told me that Presidente and Hermana Perez attended our ward today, and that they met Mxxx and Dxxx, and were able to bear their testimonies to them. I bet it was awesome. :) I wasn't in our ward today, because I was in Nogoyá!! 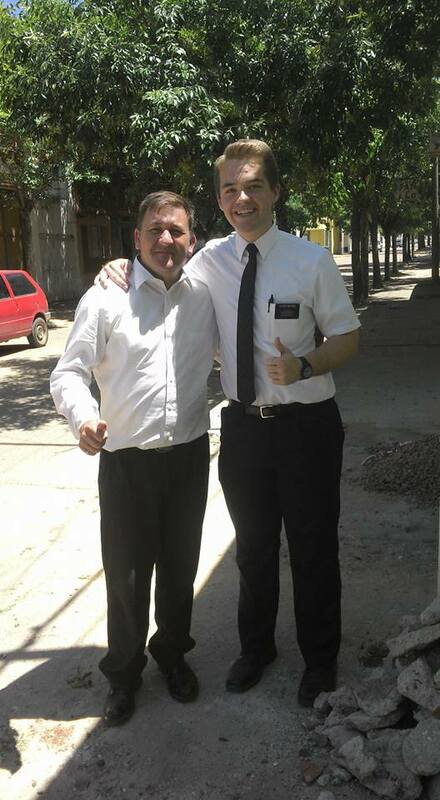 We left yesterday at about 6:30 (me, Elder Robles, who also served in Nogoyá about a year ago, and my new companion Elder Carrion, the new bibiliotecario), went and picked up the Francos, the senior couple in charge of capilla abierta, and we drove to Nogoyá. We stayed in my old apartment with the elders who are there right now, and then this morning we went to church in Nogoyá and gave the capilla abierta training during Sunday School. It was so great to see all the members! I was so excited, and it made me so happy to see all of them, especially the Arruas. They're like my second parents in the mission, after Presidente and Hermana Perez. It was awesome. We came back today, did some things in the office, and then I went to stake choir practice. I'm playing piano for the stake choir, and we have stake conference next week. 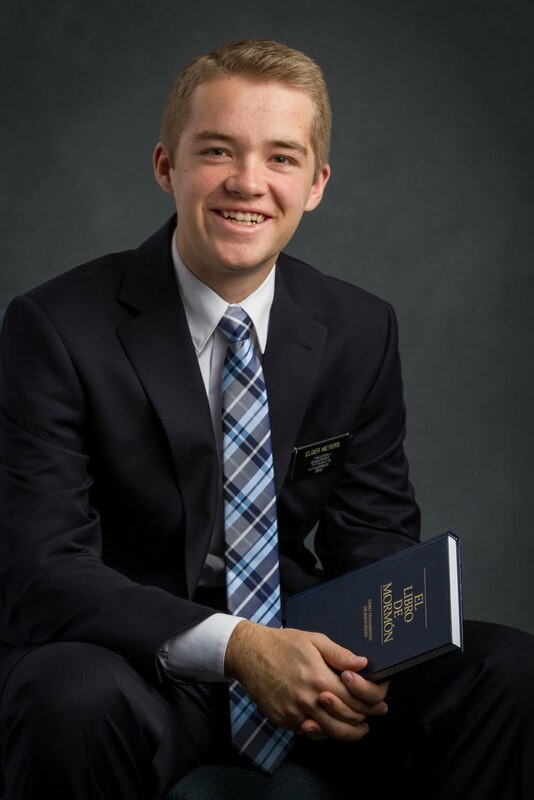 I'm a little nervous, because there will be two area seventies accompanying Elder Teixeira, who is a member of the first quorum of the Seventy and the president of the South America South Area. Hopefully I don't mess up jaja. But the choir sounds great. It will be awesome. We also got an awesome reference from Elder Levrino this week (the area seventy who lives in our ward). It's a little girl who's about 9 years old, and her mom is inactive, and has been for a long time, but her daughter (Gxxx) wants to get baptized, and is looking for a church to join! She's pretty quiet, and doesn't talk a lot, but is very mature. She actually reminds me a lot of Natalie Burger. Sometimes it seems like they're twins. She also has an older sister, Lxxx, who's 16, who was listening to the missionaries, and had a baptismal date, but never ended up getting baptized, so we're hoping to teach her as well. Overall, things are going great, and the mission is great, and I'm loving life! Just a little tired from lots of work and travel. I've been thinking more and more about love and charity lately, of the importance of divine love. Love is the substance of everything. It makes so much sense. I heard a story about Elder Rasband, that when he was a mission president, they had noticed a problem with obedience in their mission, so they started to teach about obedience, but noticed a minimal difference. On a suggestion from his wife, they decided to change their focus to talking about Jesus Christ, and things started to change much more rapidly. It reminds me of a quote from Preach My Gospel where it says "True doctrine, understood, changes attitudes and behavior. The study of the doctrines of the gospel will improve behavior quicker than a study of behavior will improve behavior" Love is what motivates to change. When we feel the love of God, we want to change because we love Him and want to do His will. And we can help others to make that change by reaching out to them and helping them to feel of His love, helping them to recognize it. As in the tree of life, when we truly seek for the truth, we come to the tree and partake of the fruit, the true love of God, and when we feel that, it envelops us, and we cannot help but want to share it with everyone. Charity is everything. PS Thanks to all the Meyers! I finally got the package with the notes, and I loved them all! You guys are great! 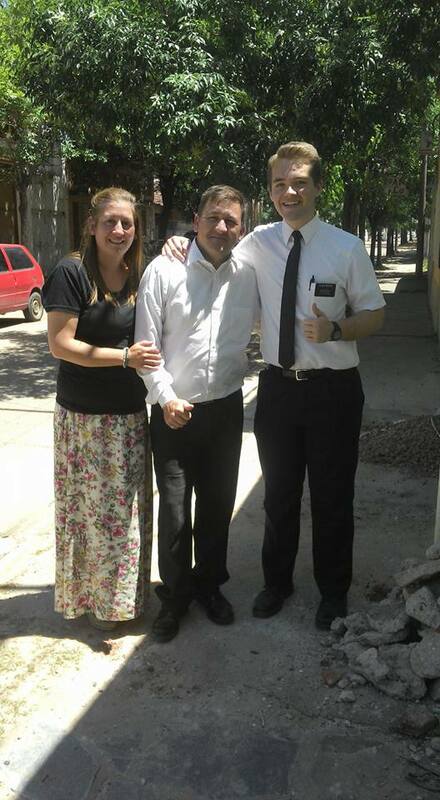 Us with Elder Garaza and Elder Chandler who are in Nogoya right now in my old apartment! Selfie in my old study room! Me in front of Nogoya! Me and Hermano Arrua in Nogoya! Me with Arrua's in Nogoya! Me with Hermana and Hermano Arrua!